As general superintendent Aaron Korte is responsible for getting all of Conco’s craftsmen in the right place at the right time. He’s also heavily involved in recruitment at the college level. 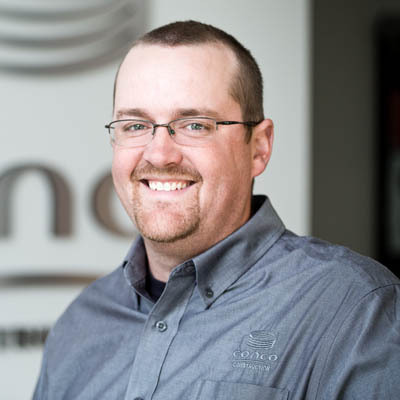 With a degree in Construction Engineering Technology from Pittsburg State University and just over a decade in experience at Conco, he’s got a lot to say to students about what Conco offers. “You get the satisfaction here of knowing what hard work and dedication will produce. There’s no last name on the door at Conco. You set your own career path based on performance and capabilities, not bloodlines.